If you saw the movie, “Jobs,” you’ll get a kick out of what Hollywood has in store for making a comeback on the low-rated film. Apparently, there is another movie about Steve Jobs that is in pre-production, and the fabulously talented Christian Bale will be playing the leading role, Steve Jobs. There isn’t much detail about the upcoming film, but Hollywood should promise us that it won’t be as bad as the first “Jobs” movie. Back in 2013, I knew from seeing the first trailer for “Jobs” the movie was going to be horrible. Frankly speaking, Ashton Kutcher just did not fit the persona for playing Steve Jobs. It really looked like Kutcher was trying too hard on trying to perfect the role the entire time. Towards the end of the movie when his character got older, it was very obvious that Kutcher was trying to imitate the exact body language that Steve Jobs has. He sunk into his body, he arched his back and he talked with his hands. All of those qualities made his performance unrealistic because he was trying. Ashton Kutcher has done far better for himself because of what he’s been in from the ‘90s, so I’m sure that this performance didn’t take too much of a toll on his career. Kutcher should just stick with the quirky-dumb blonde-type characters like the beloved Jesse from “Dude Where’s My Car” and Kelso from “That ‘70’s Show.” As a movie lover myself, I hope that Ashton chooses better roles that will suit him as an actor. 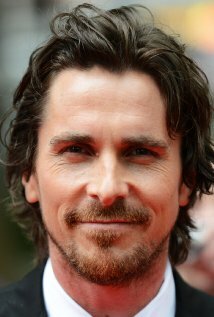 For the upcoming Christian Bale movie, the plot summary gives a different message. The first movie threw out the facts that everyone knows about Steve Jobs, while the one that’s coming out looks like it’s going to be more about him personally as well as his relationships with other people. It’s not like the first movie didn’t do that, but the first movie didn’t go too into depth about the relationships that Steve Jobs had during his journey. The only thing I would consider from the first movie is the relationship between Steve Jobs and Steve Wozniak and the betrayal with both men. You can see that the two practically grew up together, and Jobs betrays Wozniak in the end. Otherwise, there could have been more of a push to dive into Steve Jobs’ personal life. Hopefully, Hollywood does Steve Jobs some justice and makes a better version of the last one that had Ashton Kutcher fans in disappointment. Director Danny Boyle should really get some insight for an in-depth storyline about Steve Jobs’ life. There is no release date for the new “Jobs” movie, but movie-lovers everywhere are very excited to see Christian Bale’s spin on this popular icon.